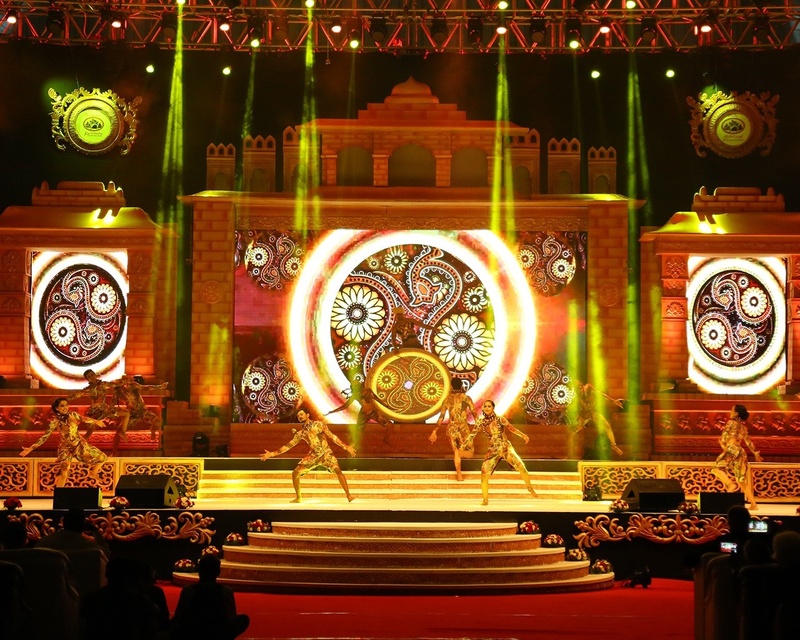 The opening ceremony for the 38th edition of PATA (Pacific Asia Travel Association) was held in Bengaluru on Sept 6. Conceptualised, produced and directed by Wizcraft International Entertainment Pvt. Ltd., the ceremony was created for Ministry of Tourism, Government of India and Department of Tourism, Government of Karnataka. Inspired by the spirit of ‘Atithi Devo Bhava’, the opening ceremony was designed as a journey of celebrations transporting the audience across India’s cultural landscape. From the musical pillars of Hampi to the rhythms of India, it was an invitation to experience the heartbeat of a glorious civilization. 3D mapping on 3 larger than life drums created a roaring opening for the ceremony. The ceremony also celebrated the rhythms of India’s classical dance heritage. A unique jugalbandi of classical dance forms was choreographed for the occasion. From Odissi and Manipuri to Kuchipudi and Kathakali to Kathak and Bharatnatyam, it was a captivating confluence of dance, music and imagery. 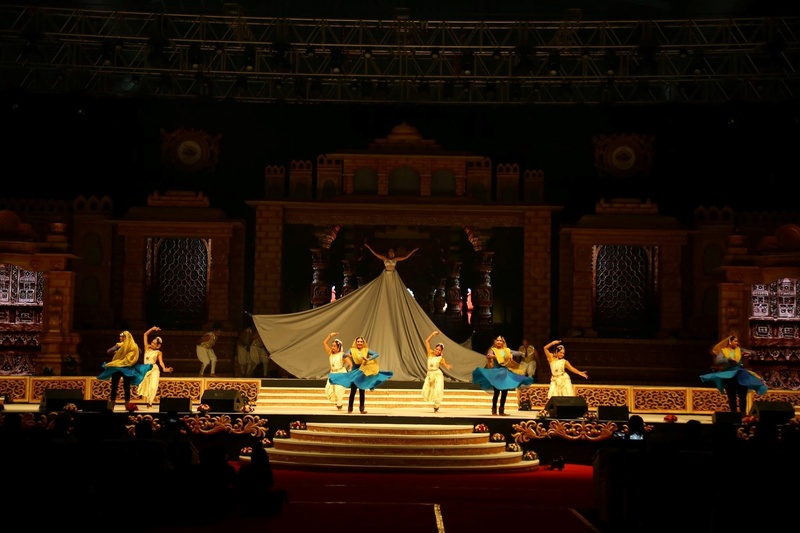 As a spectacular tribute to India’s artistic legacy and the legends of India, a unique Aerial Gown Projection was conceptualised and created by the Wizcraft Team. During the performance, a dancer in a special 20 feet gown rose up from stage and was suspended mid-air. The flying gown was rigged to surround the aerial dancer, and was designed and stitched to form a perfect circle around the dancer. Captivating animated 3D Graphics on the 20 feet gown created a spellbinding experience for the audience. 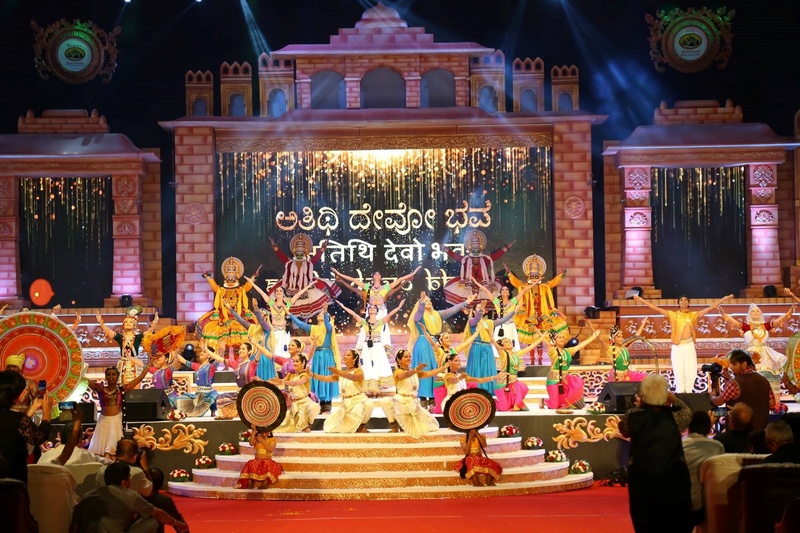 The event culminated with a grand finale inspired by the Mysore Dasara procession in Karnataka. A life-like elephant puppet moved through the audience leading a grand India procession with folk dancers and giant Chintamani puppets. The event was attended by the Chief Minister of Karnataka, Siddaramaiah; Union Minister of State (Independent Incharge) for Culture and Tourism, Dr Mahesh Sharma; and Minister for Tourism, Govt of Karnataka, Shri RV Deshpande, in addition to other guests and dignitaries. 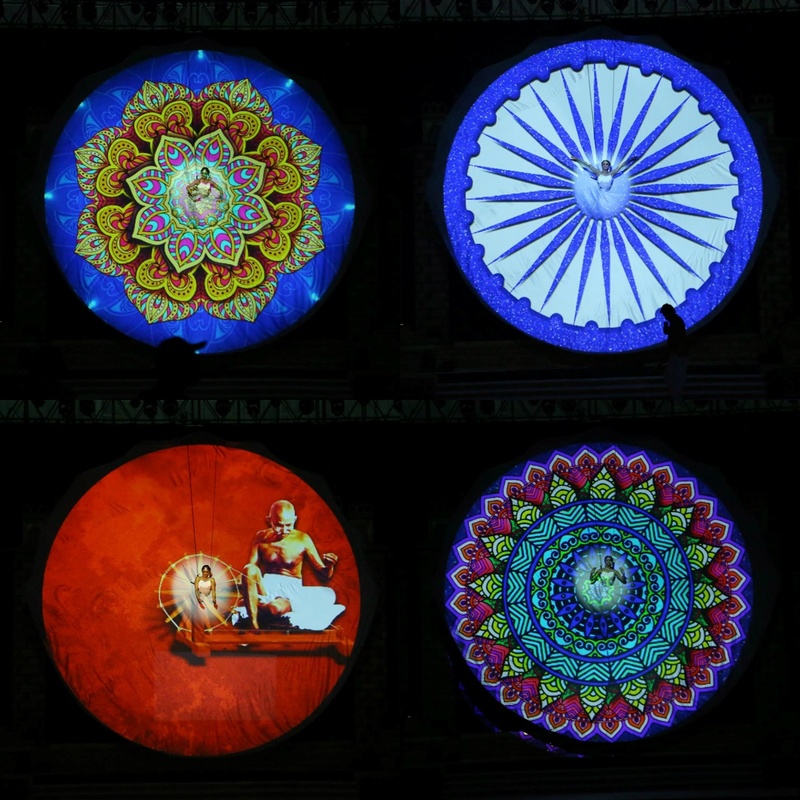 Held on Sept 6, the opening ceremony had a special Aerial Gown Projection as a tribute to the legends of India.